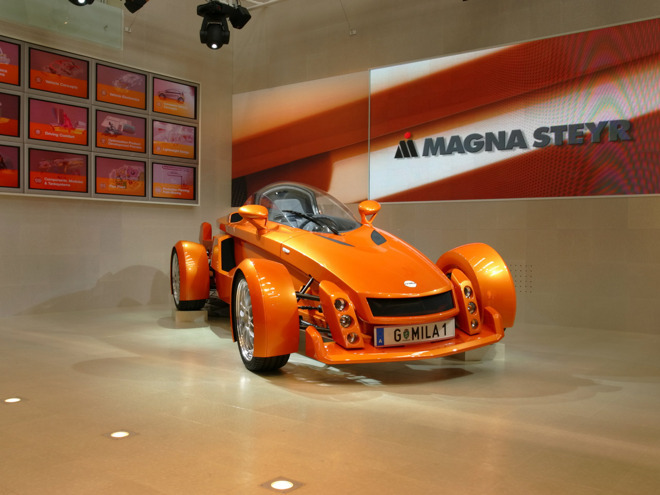 Despite "Project Titan" shifting gears under new head Bob Mansfield, contract manufacturer Magna Steyr still reportedly has roughly a dozen engineers working on a car at Apple facilities in Sunnyvale, Calif. The source of the information didn't tell Bloomberg exactly what aspects the engineers are contributing to. Given Magna's specialty, however, it could be that Apple is still planning to build a full-fledged vehicle, even with the New York Times suggesting the company is more narrowly concentrated on a self-driving platform. Bloomberg in fact acknowledged that shift. The implication may be that Apple plans to develop self-driving technology first, then shift the focus back to vehicle design. Alternately, the Magna engineers might simply be consulting on autonomous systems, but that's not reflected in the new report's language. Early rumors suggested that Apple was planning to launch a car as soon as 2019 or 2020, but that the first model might not be self-driving. Later on, obstacles were said to have delayed a rollout until 2021. It could be that Apple is now committed to making its first car self-driving, especially in light of intensifying competition. Uber already has self-driving cars in limited commercial service, and Tesla has implemented semi-autonomous systems in its cars with the goal of full-scale technology within a few years. Likewise, Ford should have a self-driving car ready by 2021. AppleInsider first discovered Apple's Sunnyvale facilities in early 2015. Project Titan is likely extending well beyond them though, as the Times indicated that Apple is testing self-driving cars in closed environments.